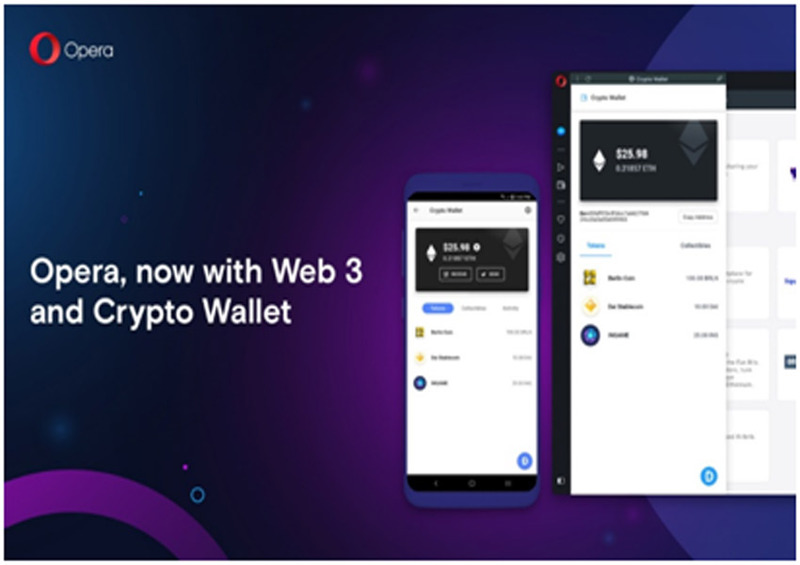 Opera becomes the first major computer browser to include a native Crypto Wallet and Web 3 explorer. The new feature lets people make transactions and interact with the blockchain-based Internet of the future, also known as Web 3. By also providing a free browser VPN, Opera wants to make sure users stay safe and in control of their browsing. Web 3 is the blockchain-based Internet of the future. Starting today, users can type in the address of a Web 3 application into the address bar of the Opera computer browser and they will be able to explore Web 3. The demand for VPN services keeps growing. Currently, one-third of VPN users around the globe use this solution with the intent to stay anonymous on the Web. Opera is the only browser maker to provide a fast and free browser VPN. The unlimited browser VPN enhances users’ online privacy and improves their security when using public networks they don’t trust. The browser VPN establishes a secure, encrypted tunnel which protects users’ data from third parties and hides their geographical location from websites. The browser VPN service is also a no-log service, which means that the VPN servers do not log and retain any activity data, all to protect users’ privacy. With a quarter of our lives spent online, the quality of the applications we use plays a central role. People spend hours every day interacting with the Web through their browsers. Opera believes a browser should provide a perfect frame for the Web, the same way a picture frame enhances a viewer’s experience of a painting. In the new version of the Opera browser, the new borderless design without dividing lines between sections lets people browse calmly and unhindered by unnecessary distractions. Web content takes center stage. The browser has also received two distinct themes, light and dark, which are inspired by high-key and low-key lighting photography, where the goals are to maximize or minimize the amount of light in a photo while still retaining contrast. Depending on the mood, setting or the content they are viewing, people are in control of how they frame Web content. By giving users a beautiful, distraction-free setting to experience the Web, an increased level of privacy, as well as access to the Internet of the future, Opera believes it is giving users the perfect tool to control and enjoy the digital aspect of their lives. To depict this, the company has created a short science fiction film in which a woman travels through a futuristic world in search of regaining control of her digital life. The Opera browser also features two special edition themes inspired by the film.